Oh, no! The Decay Germ has escaped! Look out for cavities! Don’t you wish commercials were still this catchy and lovable? 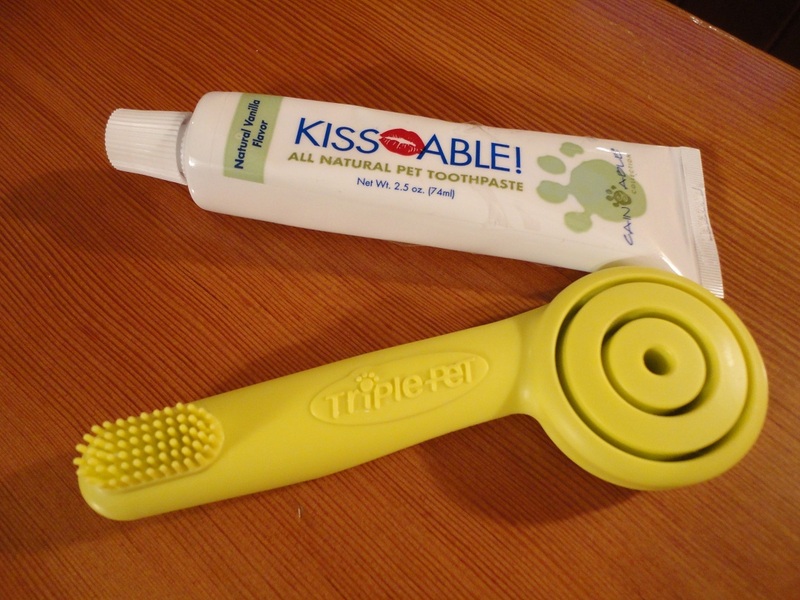 You may have guessed it, but today’s post is about your dog’s oral hygiene! Teton had never had his teeth brushed before last night. Honestly, I thought that a dental chew a day…well, you know the rest of that saying! Lately we’ve noticed that The Little Blogger’s breath has begun to stink more than normal and that he has a bit of plaque on his back teeth. I guess a Greenie (or a Blue Buffalo Blue Bone) can’t always clean every single tooth! Not the most fun purchase, but a very beneficial one! You may be wondering why you should consider brushing your dog’s teeth. Well, why do you brush your own teeth? To prevent tooth decay and freshen your breath! Same principles go for dogs. Dogs can get cavities just like humans. And, I’m willing to bet that you’ve smelled some pretty gnarly dog breath before, so I don’t have to talk at length about that! 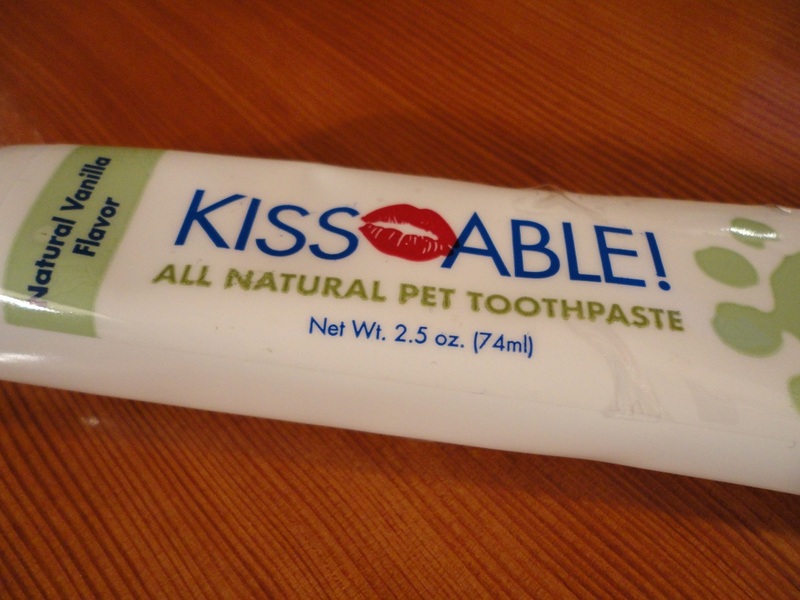 The simple truth is, brushing your dog’s teeth will keep their mouths healthier, prettier, and less stinky. 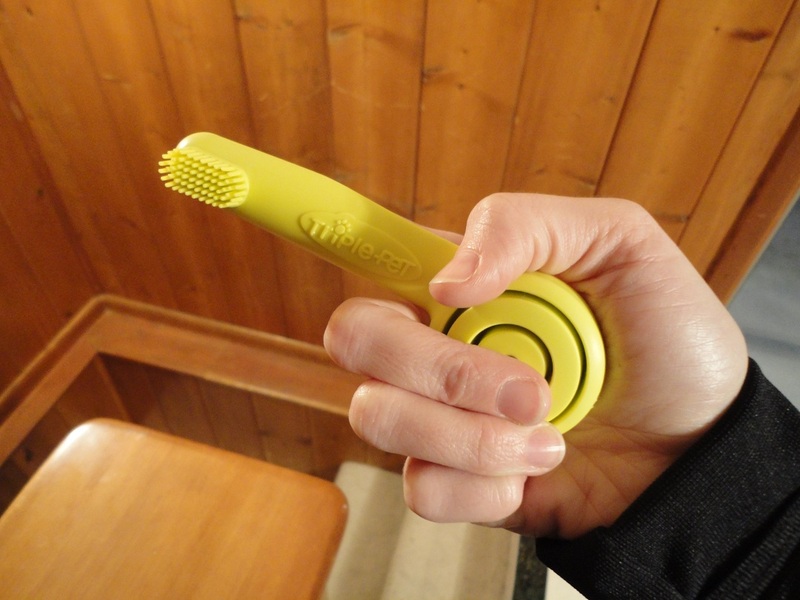 I opted for the popular finger brush. This particular model is made by Triple Pet. 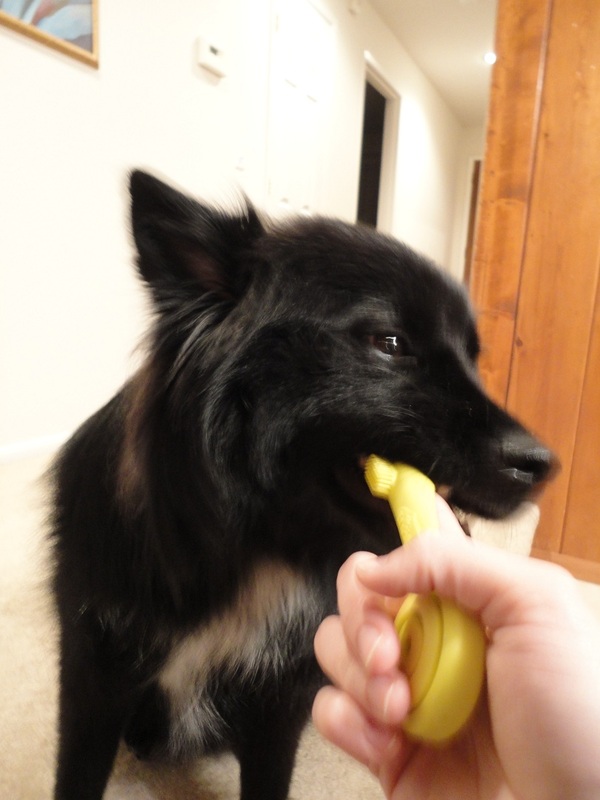 Finger brushes are nice because you have a little more control over how accurate your brushing is, as they’re easier to maneuver in your dog’s mouth than a standard toothbrush. 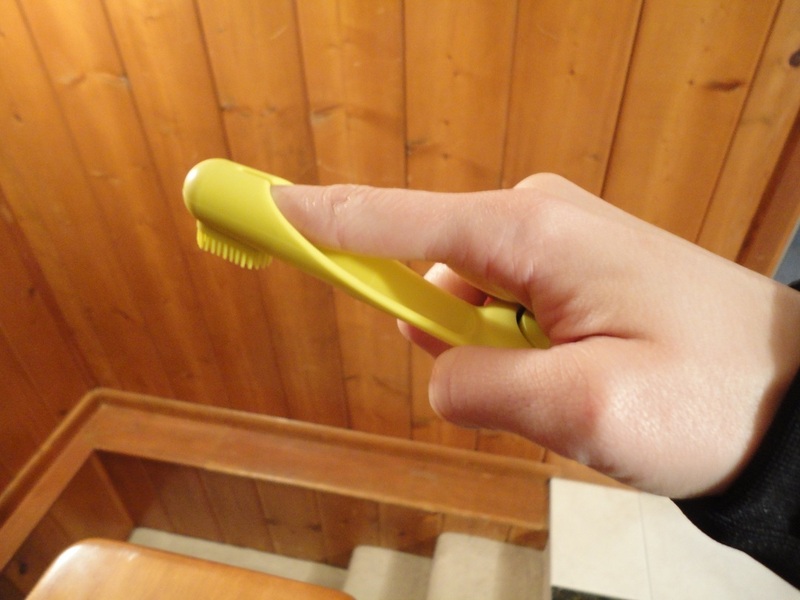 This Triple Pet finger brush was $6.99 and I chose it for two reasons. 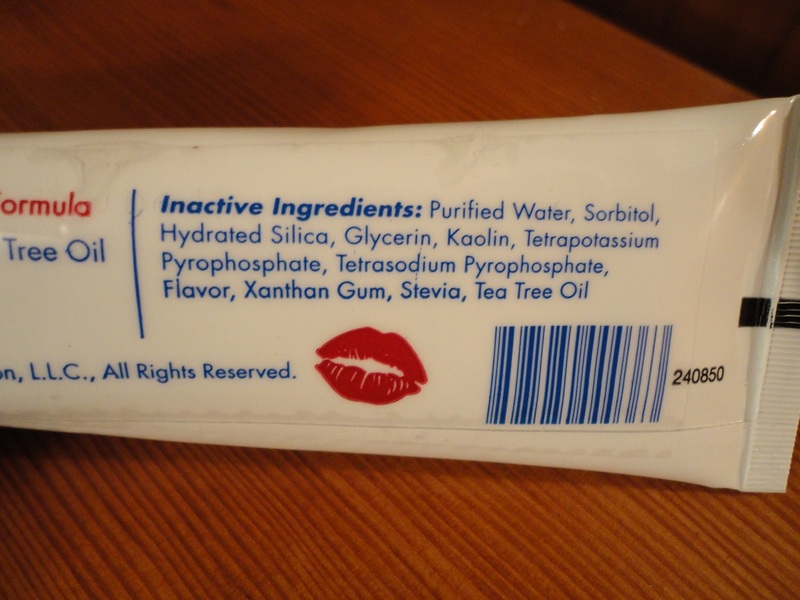 The toothpaste that I selected was KissAble! by Cain and Able. Sounds like a perfume, right? I compared a few different brands/types, but they all had pretty much the same ingredients. I don’t really know why I chose this one. Maybe because it has a cute name? 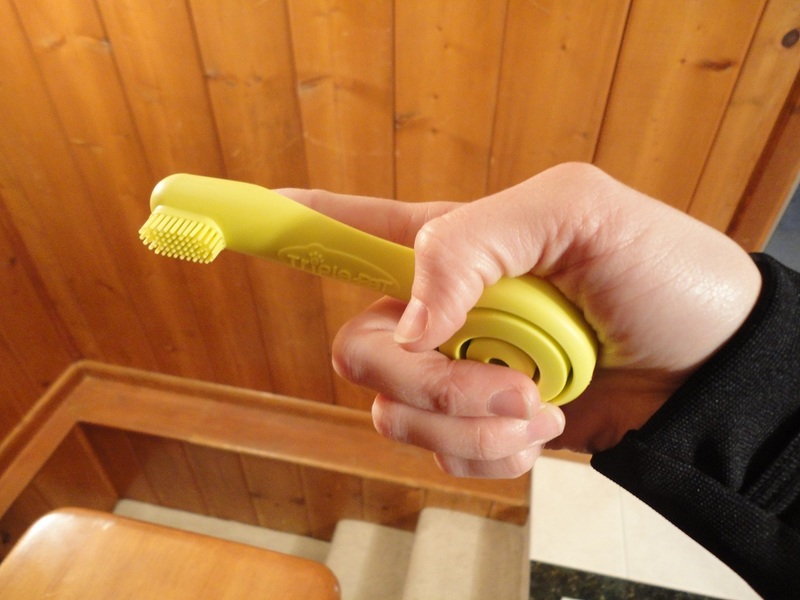 Since TLB had never experienced the joy that is brushing your teeth, the first thing I let him do was sniff, lick, and bite the finger brush. 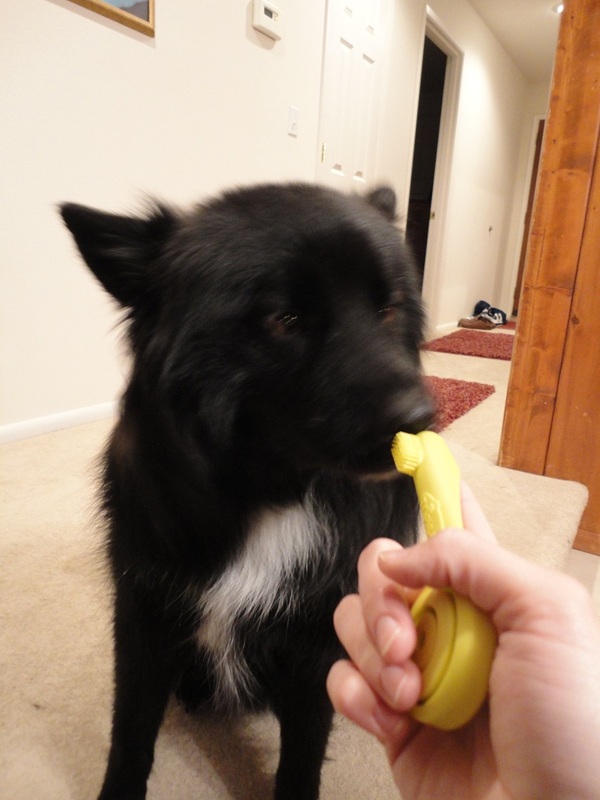 Then, I added some toothpaste and slowly started lightly brushing Teton’s teeth. The trick here is to not piss your dog off, really. You want to slowly introduce them to what it’s like having their teeth brushed. It’s ok if your dog licks their chops intermittently. They make the toothpaste tasty for a reason! The first few times, don’t push it. Remember, your dog is new to this! I’m willing to bet that you weren’t a ball of joy the first time your mom or dad tried brushing your teeth for you! 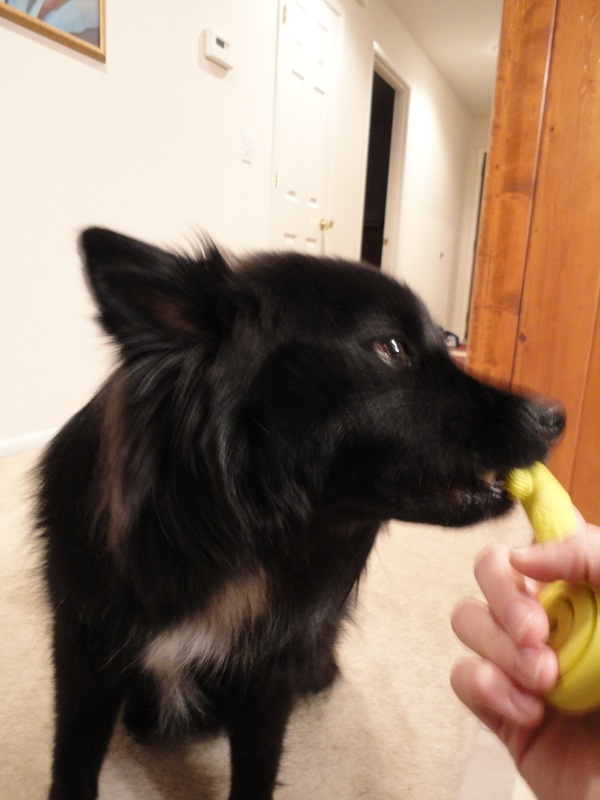 Consistency and routine is key for doggie tooth brushing. I plan on brushing TLB’s teeth every day this week so that he gets used to it and then sticking to a schedule of three to four times a week. Also, verbally praise your dog during brushing sessions and give him or her a special treat after each brushing is complete. It’ll make it much more bearable (and maybe even fun) for your pooch! 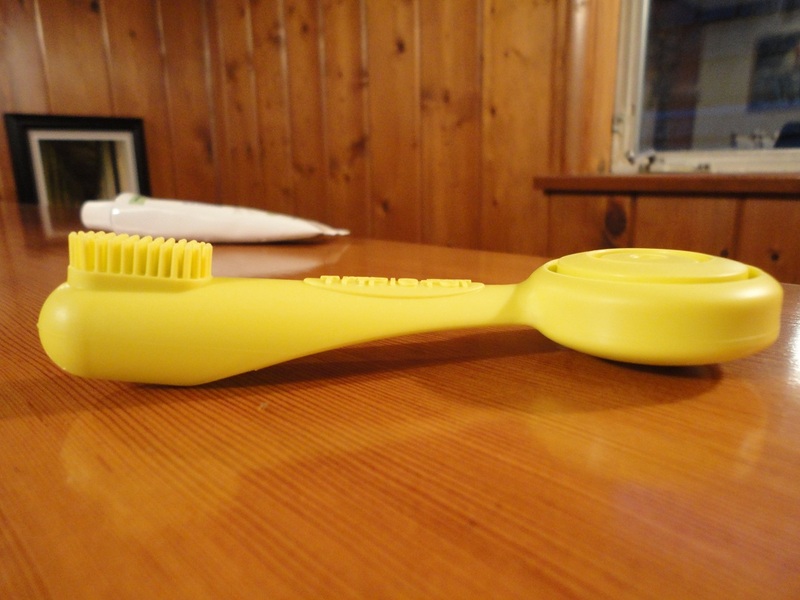 We won’t be reviewing Teton’s new toothbrush and toothpaste just yet, since we just got them yesterday. I’ll keep you posted on brushing progress as we get a little more used to having it as part of our weekly routine. Stay tuned later this week for a treat review! 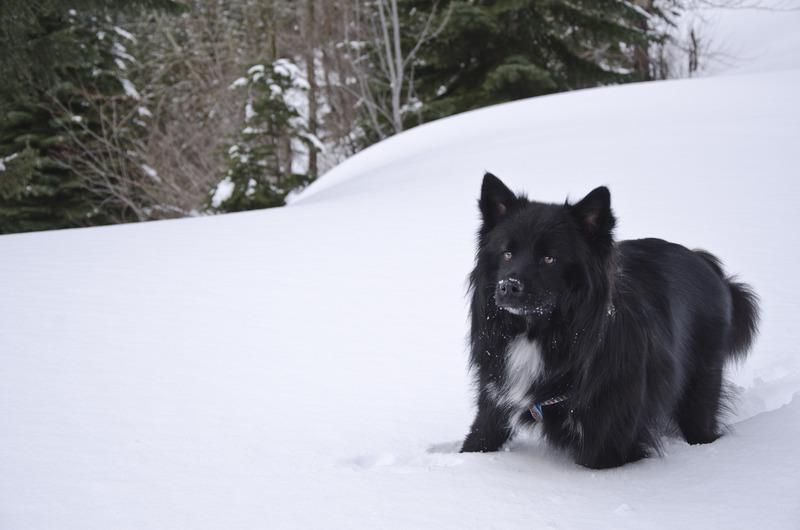 What kind of quality time have you spent with your furry friend(s) lately? Posted on March 29, 2011 May 14, 2011 by Shannon	This entry was posted in Medicine Cabinet. Bookmark the permalink.